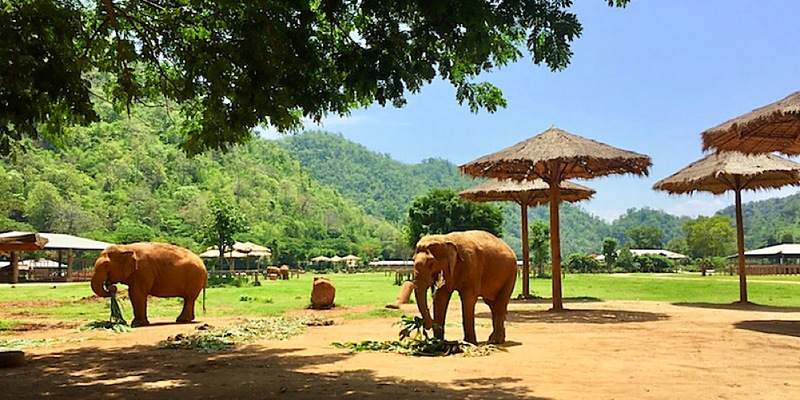 Elephant Nature Park is a truly awesome animal sanctuary located just outside of Chiang Mai in Northern Thailand that offers safety and peace to hundreds of rescued animals. And they need your help. 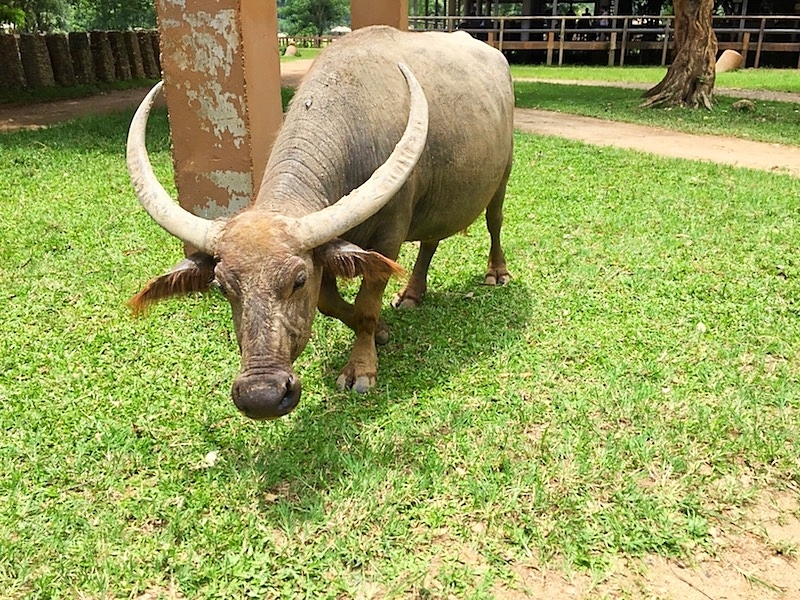 ENP is the loving forever home to hundreds of dogs, cats, buffalo and nearly 80 rescued Asian elephants who have sadly spent most of their (very long) lives being abused. 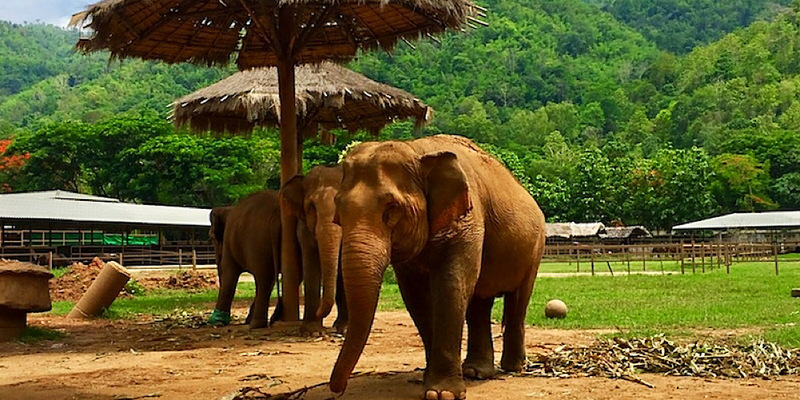 Elephants are exploited for trekking, logging, riding, street begging, entertainment, circuses, and more. They suffer emotional and painful physical abuse by their tormenters like forced breeding, stabbing, blinding, broken hips and legs, and land mine explosions. They've lost family, friends, and often even their own babies. The plight of these sweet creatures is pretty dire. 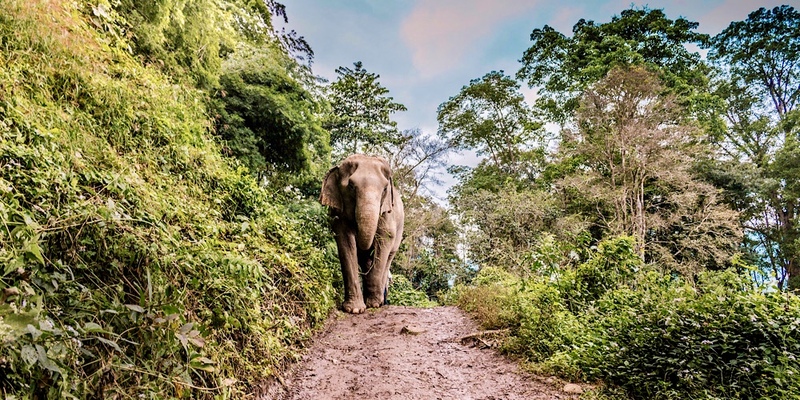 Habitat loss, poaching, hunting, and human exploitation have forced Asian elephant numbers down to critical levels. There are estimated to be less than 30,000 left living of this vital endangered species. 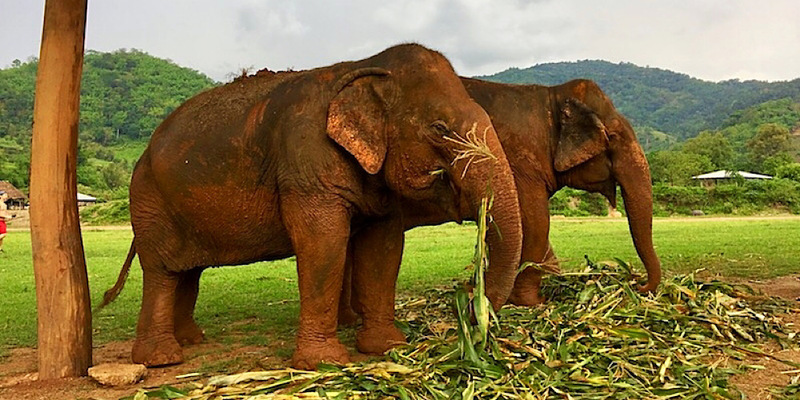 At ENP, these lucky rescued elephants are given a safe haven from the cruel world and are able to live their lives freely, safely, and naturally. They're able to form friendships, groups, and family units to support and care for each other. Many severely disabled elephants, like those that have been blinded and lost their sight (like the one in the photo below), have developed buddy systems and are often guided by and looked after by their loving elephant friends. These creatures are amazing. 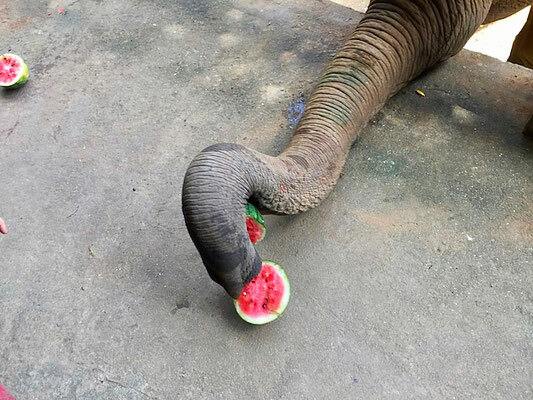 The elephants are fed fresh fruits and vegetables every day. 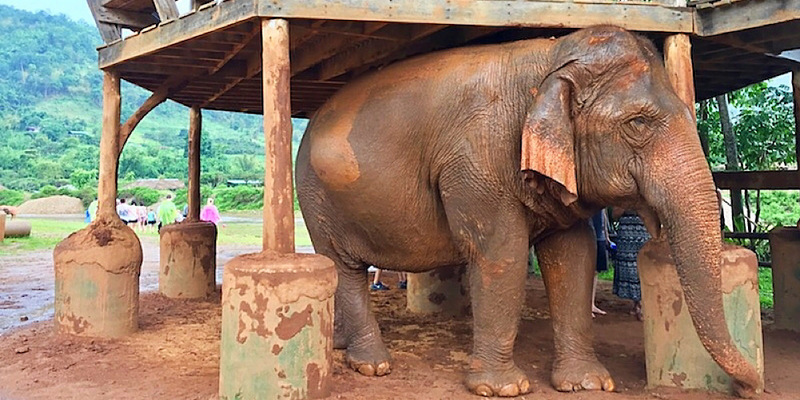 And this is no small feet, since each elephant eats several hundred pounds of food every single day. If you visit the park in person, you even get the opportunity to hand feed elephants bananas, watermelon and pumpkins. Forget farm to table, this is farm to trunk! You've heard of horses living with sheep friends. Elephants are huge so they need bigger friends. 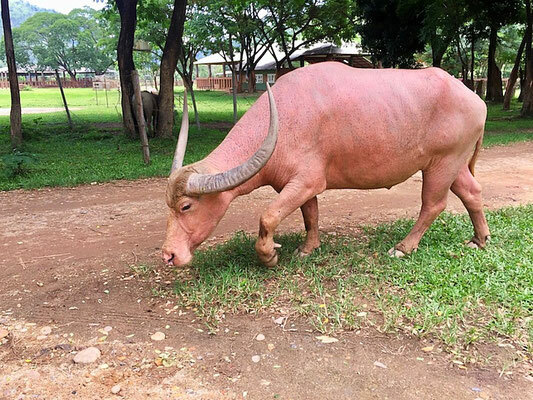 Like Asian water buffalo friends. 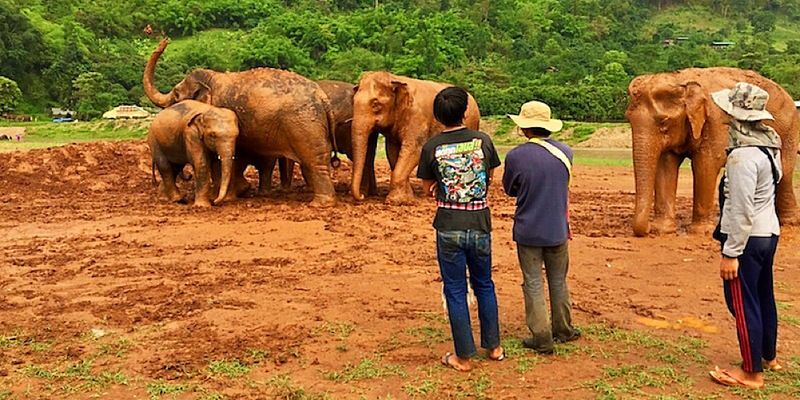 These sweet creatures are also finally living their lives in peace at the park, no longer abused or forced to perform grueling physical labor. Here they roam freely, grazing happily along. 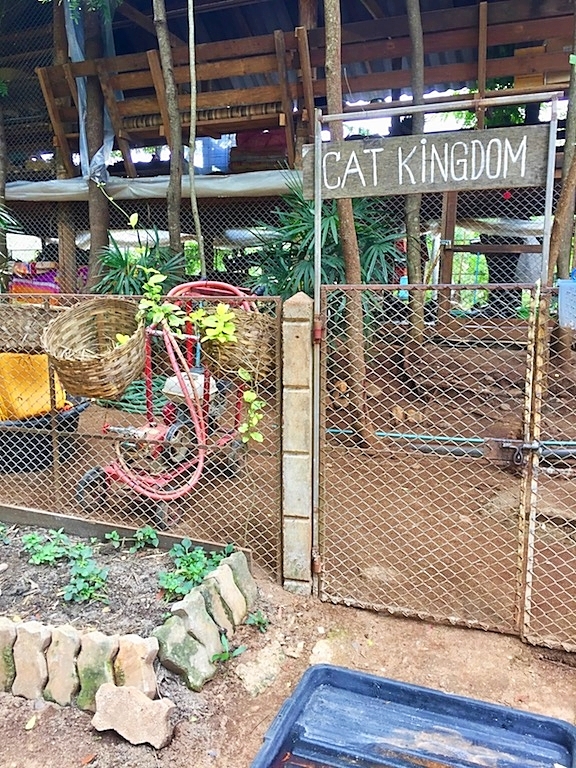 Many incredibly lucky rescued cats call Cat Kingdom at ENP their sanctuary home, too. 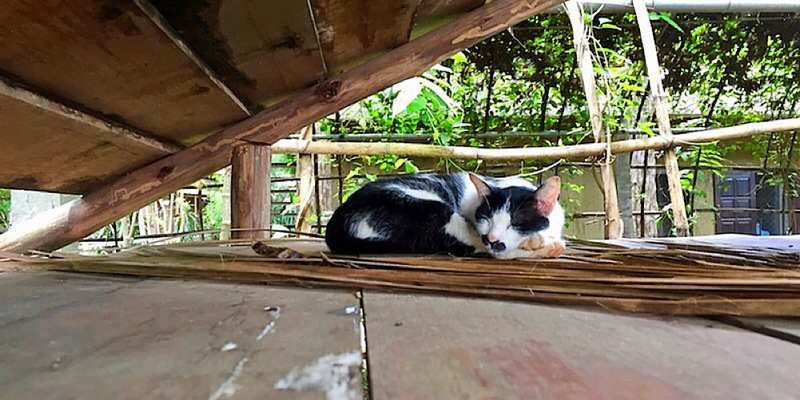 They spend their days lazily lounging about, happily greeting people for pets, and doing other mysterious cat activities no one can know about. Like eating and sleeping. 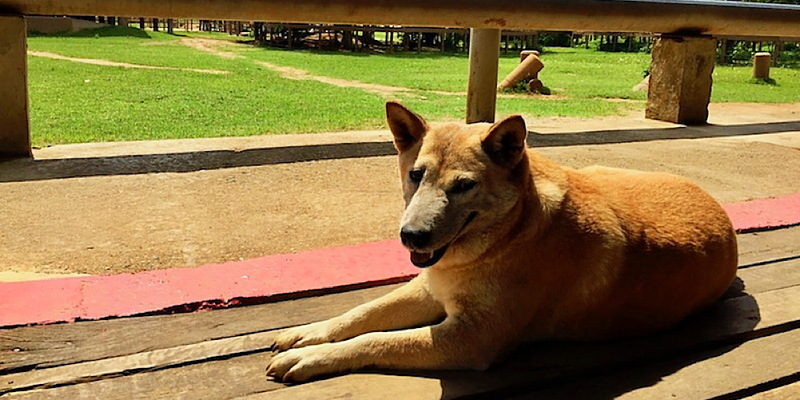 ENP is also a safe haven for rescued dogs. 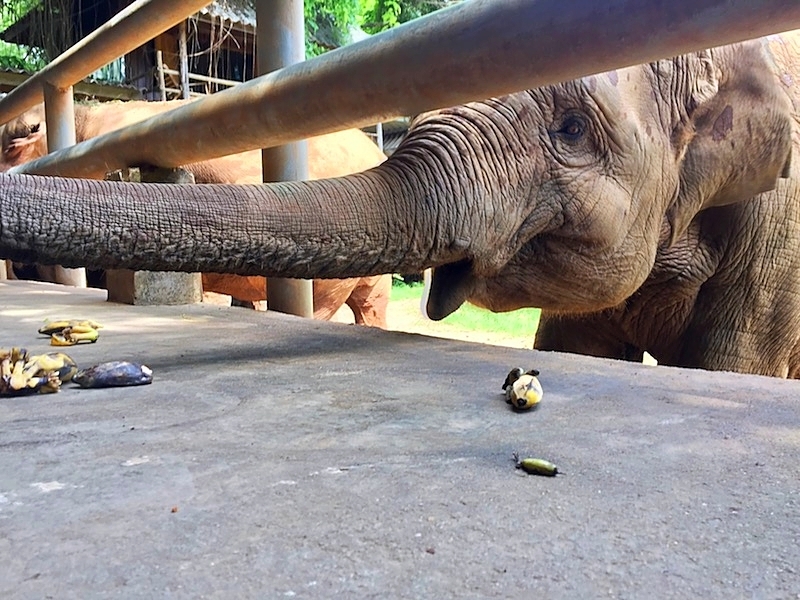 Over 400 dogs live at the park, who also need food, shelter, exercise, and veterinary care, so in addition to the elephants, constant support and volunteers are also needed for the dogs. Many of the dogs are available for adoption and can even be sent worldwide to their new loving forever homes. 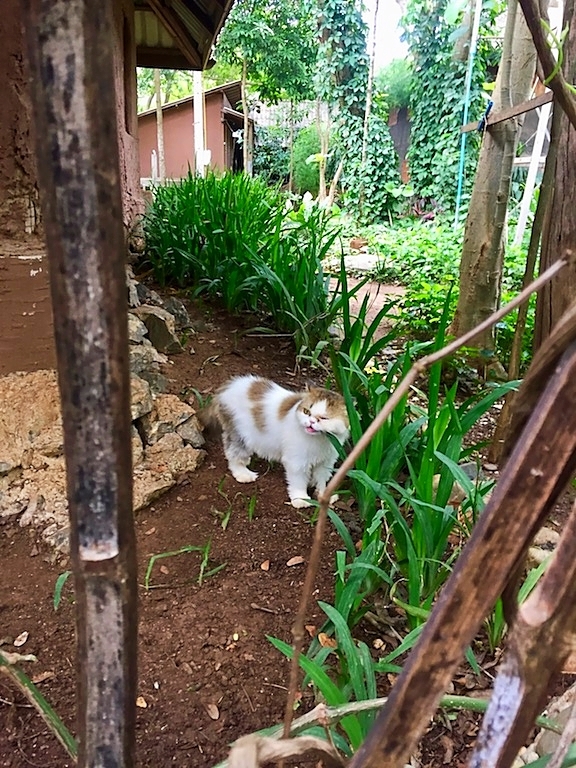 Check the website for who's available for adoption. They always need flight volunteers to assist in getting adopted dogs to their new homes. Another perk of visiting the park is, after a long day of giving out animal loving, you'll be well fed. 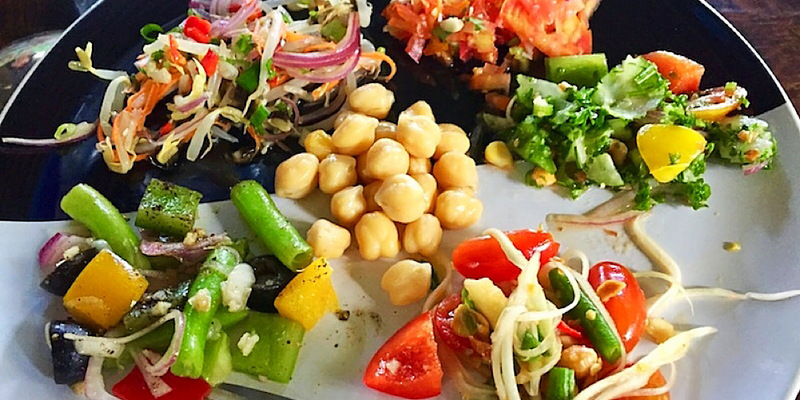 ENP offers a giant buffet of delicious and nutritious plant-based foods. From fresh fruits, to a salad bar, to a cold buffet of amazing veggie and bean dishes, to a hot buffet of curries, rice, tofu, veggies, jackfruit and mock meats - every craving is more than satisfied and all the food is spectacular. Best banana chips ever! ENP gives distressed animals sanctuary, helps educate people, makes stellar Thai vegan food, and is committed to conservation, not only by aiming for sustainability and reducing waste, but also by replanting trees to help rebuild the rainforest. 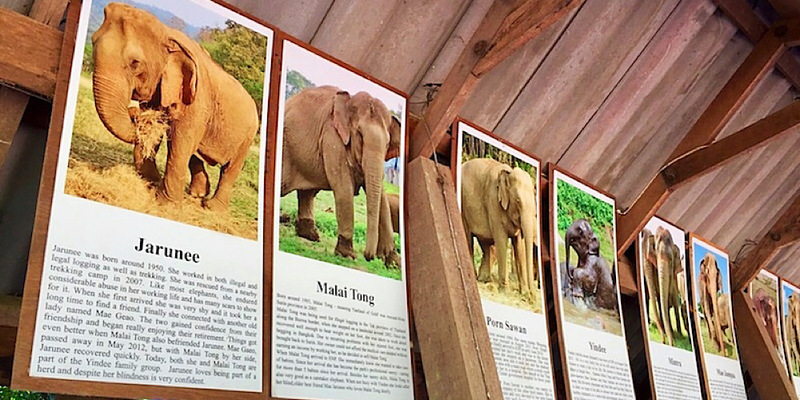 Elephant Nature Park deserves so much respect for all the good they are doing for animals and the planet. Be a part of it and make a difference in an animal's life!